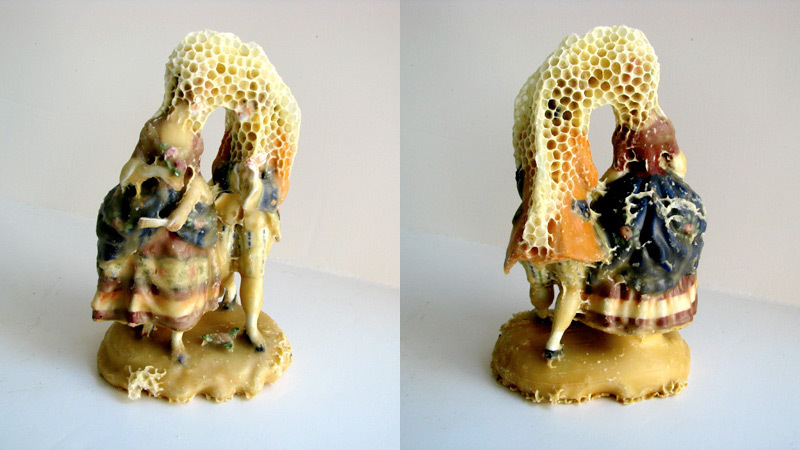 In North America, Europe and many other parts of the world, bee populations have plummeted 30-50% due to colony collapse disorder, a fact not lost on artist Aganetha Dyck who for years has been working with the industrious insects to create delicate sculptures using porcelain figurines, shoes, sports equipment, and other objects left in specially designed apiaries. 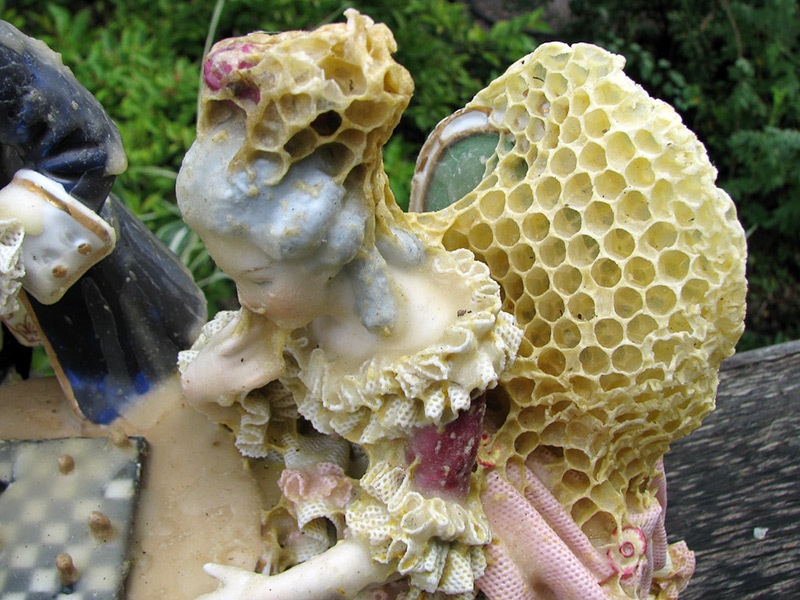 As the weeks and months pass the ordinary objects are slowly transformed with the bees’ wax honeycomb. It’s almost impossible to look at final pieces without smiling in wonder, imagining the unwitting bees toiling away on a piece of art. And yet it’s our own ignorance of humanity’s connection to bees and nature that Dyck calls into question, two completely different life forms whose fate is inextricably intertwined. 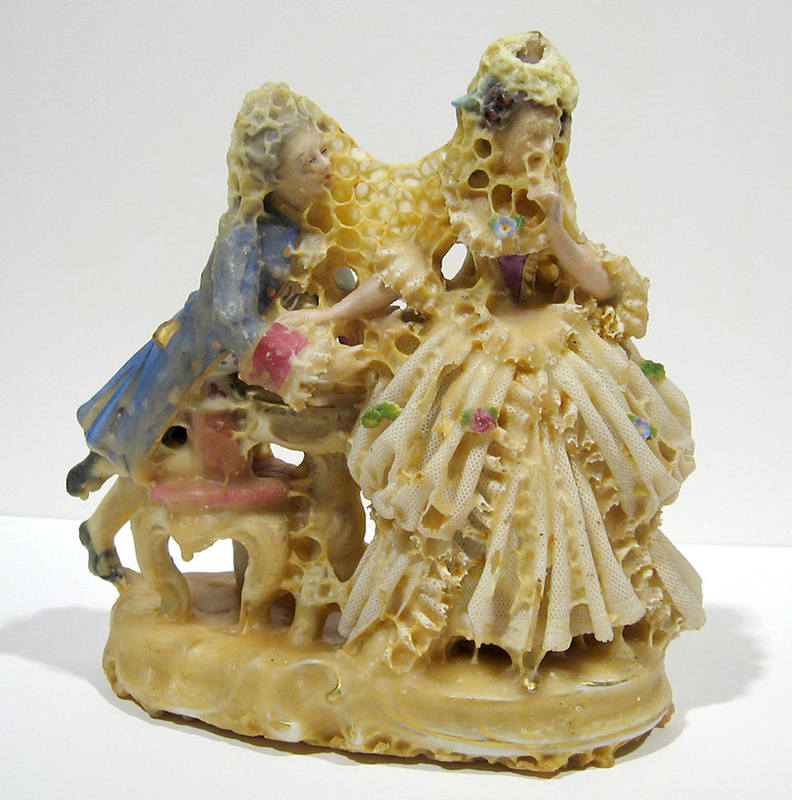 If you want to learn more I suggest watching the video above from the Confederation Centre of the Arts, and if you want to see her work up close Dyck opens an exhibition titled Honeybee Alterations at the Ottawa School of Art on March 3, 2014. A huge thanks to Gibson Gallery as well as Aganetha and Deborah Dyck for their help. All photos courtesy Peter Dyck and William Eakin.